There is an office building right in the heart of Ottawa opposite the Parliament buildings which could be got at a very reasonable price, and it is the last site in the centre of things which might still be had … You may say that it’s not practical to do anything while there’s a war: but I’m so afraid of the central site escaping for ever, and I could now make some arrangements whereby payment of the capital sum for it waited till after the war. The high commissioner, Malcolm MacDonald, was initially not so keen, being of the school that still preferred not to separate chanceries from heads’ of mission residences, but by 1945, he was in favour of buying a site and, given sterling/dollar exchange problems, suggested that a reciprocal deal might be done if the Canadians in London were still seeking to expand their accommodation in Trafalgar Square. In 1946, Sir William Clark, now in retirement but undertaking an official tour of all the dominions, recommended building new offices in Ottawa on Wellington Street, on the site of Brock Building/Orme Hall, between Kent and Lyon Streets. All agreed with this recommendation and purchase of the site was authorized, but the proposal then withered for want of funds. 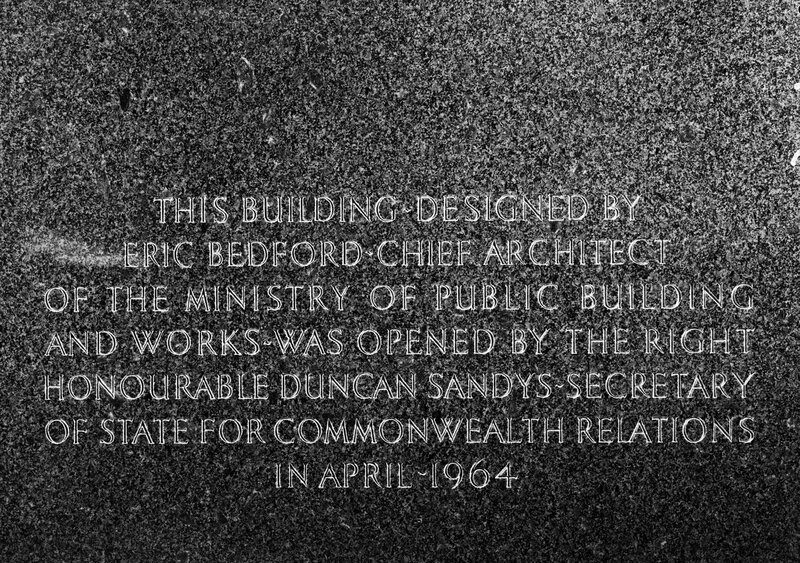 By the mid-1950s, the high commissioner and chancery staff were still in the stable block at Earnscliffe while all the other staff were dispersed across the city: the trade commission had moved to Electric Building in Sparks Street, the information office to 275 Albert Street, the service attachés to the Roxborough Apartment Building on Elgin Street, and the agricultural adviser and UK payments office staff to 167 Queen Street: other sections were in the Truro building and the Molot Building in Rideau Street. The search for a new site on which to build new offices eventually alighted upon a 0.6 hectare site at the north end of Elgin Street, at No. 80, overlooking Confederation Square and close to Parliament Hill. This was bought in 1961 for £83,000. 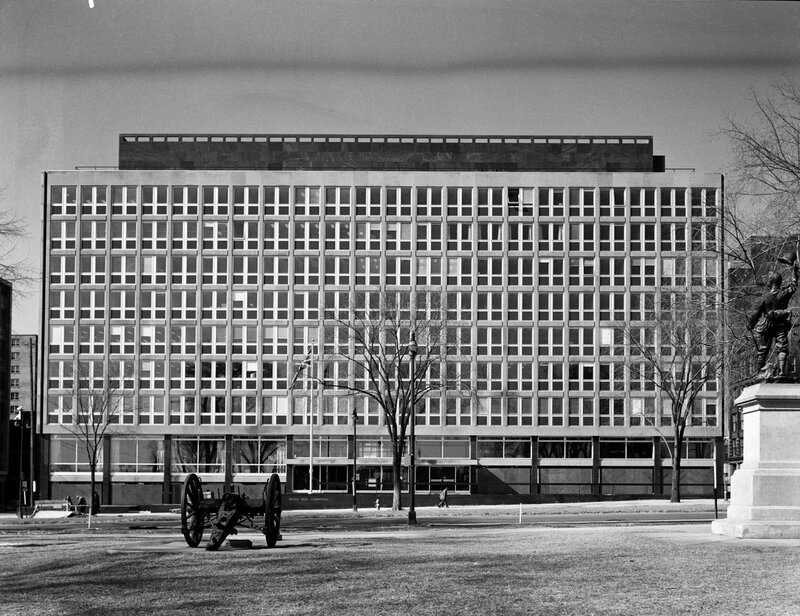 A long thin rectangular block, of eight storeys plus a plant room on the roof, with a gross floor area of about 62,000 square feet, was designed by William Bryant, a senior in-house architect under the eye of Eric Bedford, the Ministry’s chief architect. The foundations and steel frame were built by the Foundation Company of Canada, and the other main contractor was Pigott Construction Company. 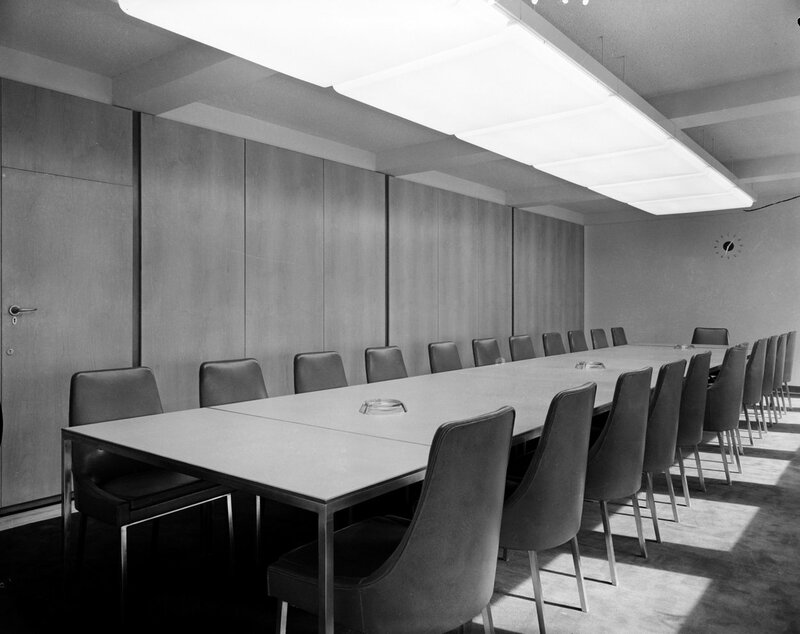 The building was fully air-conditioned and double-glazed. The external facings were in various polished Canadian granites. 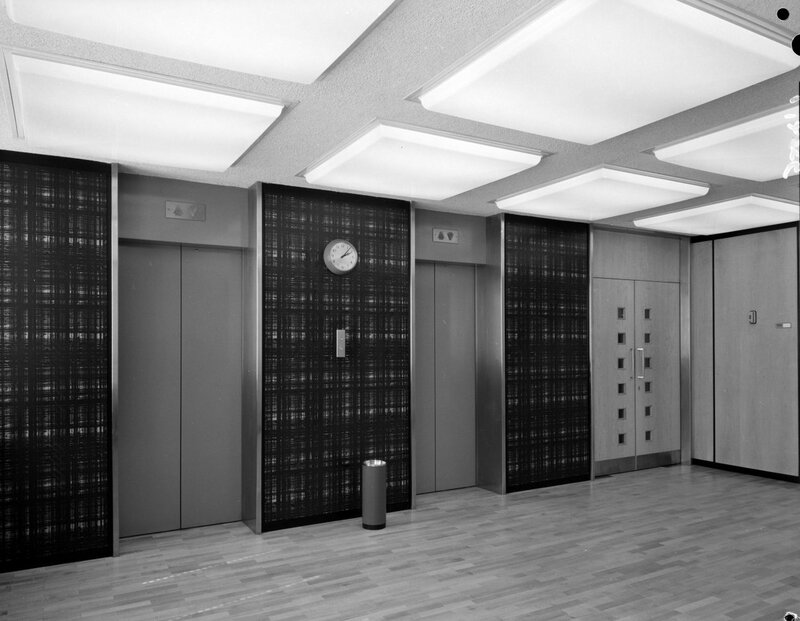 The internal finishes, in the idiom and colours of the day, were (to paraphrase the press release) generally simple, with plastered walls in light colourings blending with grey steel furniture, suspended acoustic tile ceilings, and linoleum floors. Doorframes and window sills in natural maple. 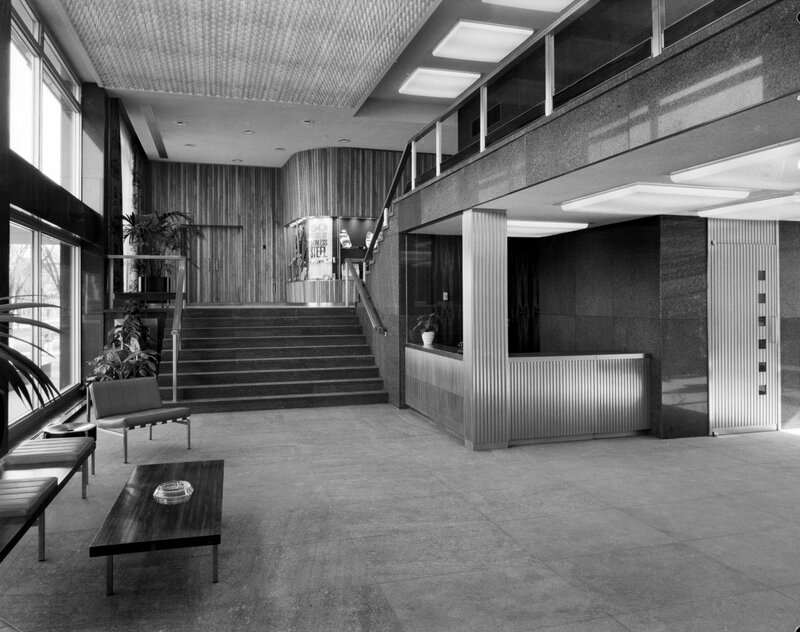 Walls around the elevators panelled in attractive melamine laminate, the entrance-hall walls faced in polished Blue Pearl granite. 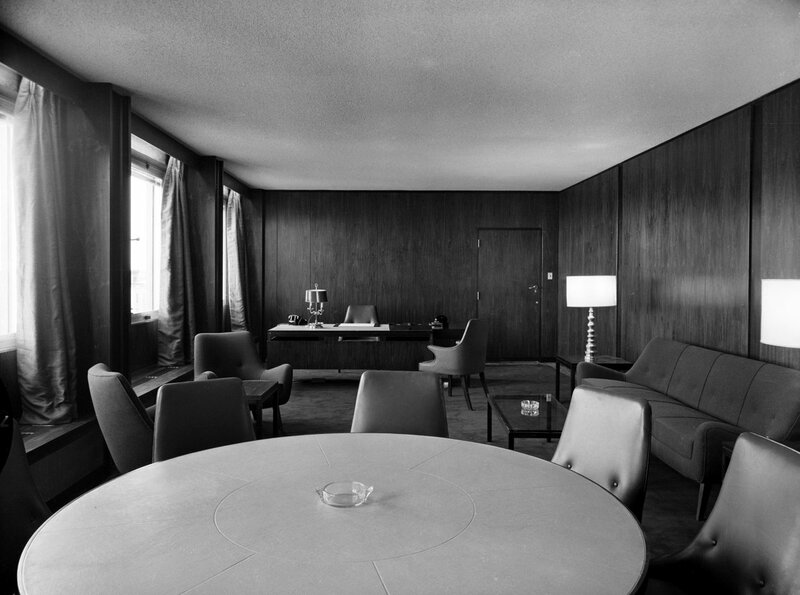 In the conference hall, the carpet off-white, tables with grey leather tops, chairs upholstered in olive-green leather, and curtains flame and bronze-green. 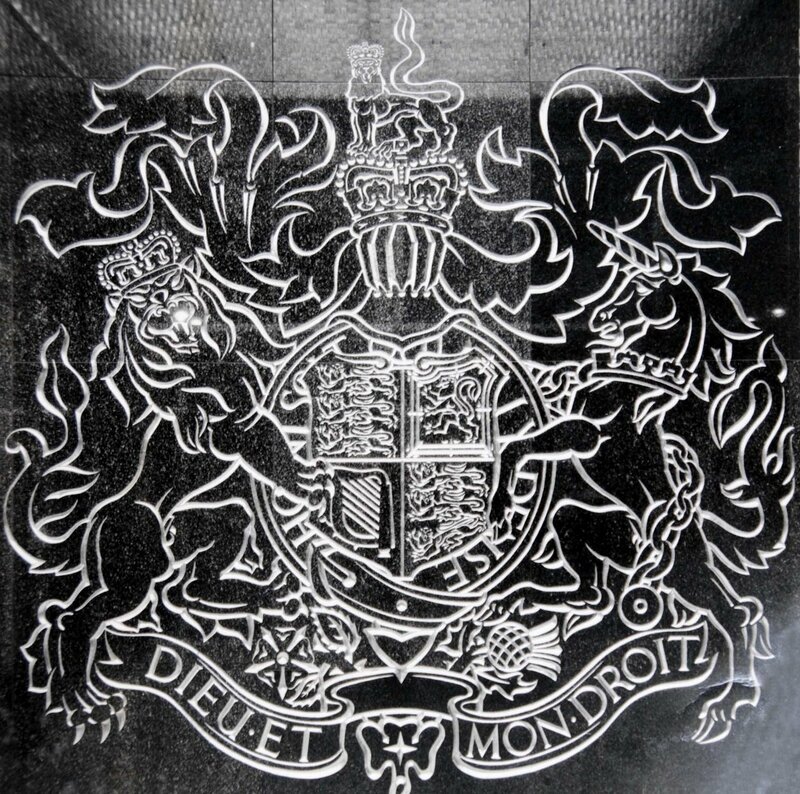 The large coat of arms, nine feet square, in the main lobby was designed by James Woodford and carved in situ in black granite by John S. Hogg, and picked out in gold. 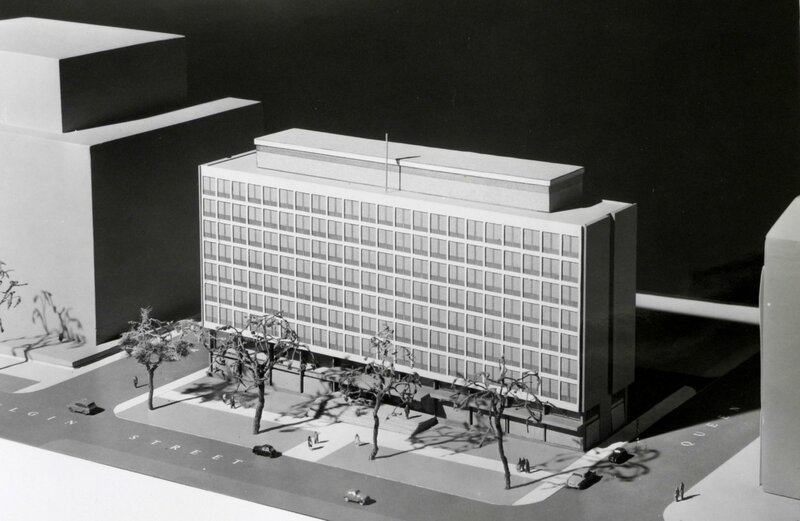 Model of proposed offices, 1961. 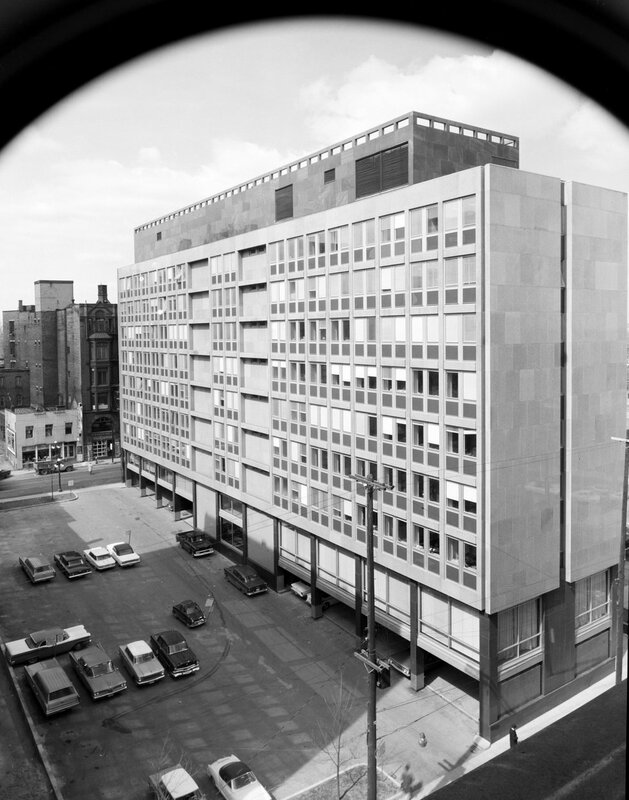 New offices, front view from Elgin Street, 1964. Rear view of offices, with carpark, 1964. 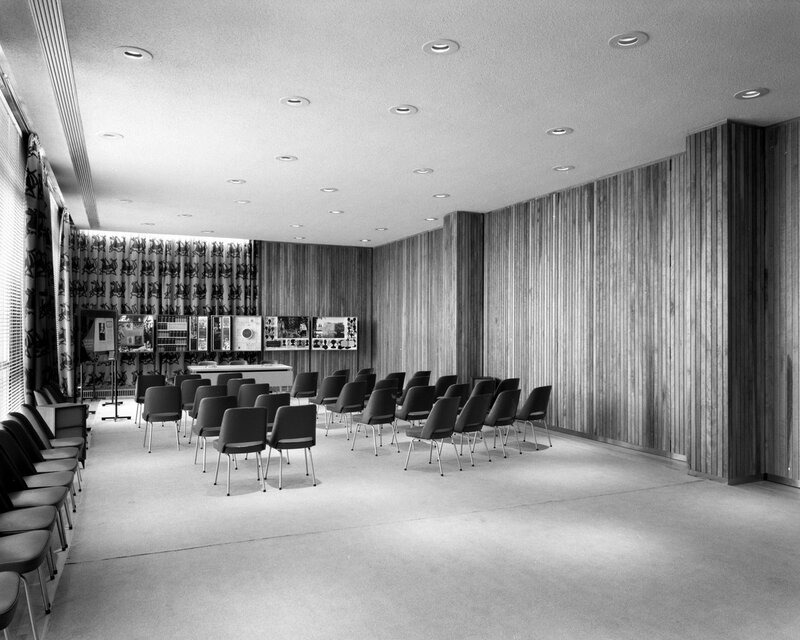 Ground floor conference hall, 1964. Coat of arms in situ, 1964.